Google has announced that by the end of 2009 we are going to see 19 devices with Android. The HTC Hero is one of Them. The golden days of Windows mobile are gone and the iPhone kingdom is about to end. BURLINGAME, CA, (May 28 , 2009) - Tangent Inc., www.tangent.com, a leading provider of healthcare technology today announced the Medix 10T, a state-of-the-art 10.4" tablet that weighs only 3.3 lbs., is built on the highly-acclaimed Intel Health Architecture, includes enhanced touch screen functionally, contributing greater workflow efficiencies in EMR and other point-of-care applications. The Medix 10T competes directly with Motion and other industry leaders by offering much lower pricing and unique features such as dual, hot-swappable batteries instead of a single battery; a touch-screen that responds to finger and stylus instead of stylus only; the popular "Digital Persona" biometric fingerprint reader, and a more powerful CPU (Core Duo vs. ATOM). "The Medix 10T is a key entry into a market poised to explode in the next few years in response to the federal economic stimulus legislation to modernize health care systems," stated Tangent President Doug Monsour. "Its low weight and mobility make it the true portable access point for healthcare database applications. It is ideal as a Medical Clerical assistant, on nursing carts, for EMR and for all point-of-care applications," Monsour noted. The new point-of-care MCA meets the UL60601 medical grade certification for patient safety. Its five-wire resistive touch screen responds to either stylus, finger or gloved-hand input, and implements positive palm rejection. In addition, it has a highly accurate fingerprint reader and an excellent docking cradle solution for charging up to two batteries. Its rugged construction provides protection from accidental drops and most other work-place damage. 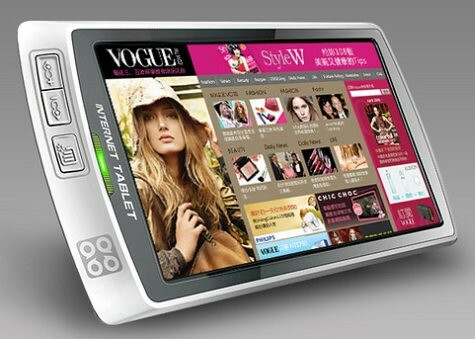 The thin silhouette TFT touch screen display has 1024 x 768 pixel XGA resolution and provides anti-glare treatment and good readability in all lighting conditions. The medical grade, point of care tablet meets IP-54 standards for a dust-free, waterproof operation and can be sprayed and wiped down without the risk of damaging the computer. Its fan-less operation makes it easier to clean using a 10% bleach/water disinfectant solution, whereas the competition uses fans and exposed ventilation holes, which makes it difficult to spray with cleaning agents. With its emphasis on improved workflow, the Medix 10T incorporates numerous data-capture technologies, including a fingerprint reader and options for a barcode scanner, which allows you to use the tablet in high volume application environments, and a RFID reader for asset and patient tracking. The new Tangent solution has dual lithium ion batteries that allow hot-swappable operation. They recharge in less than three hours. Security options include HDD User Password Protection and BIOS I/O lock. The optional docking station incorporates a locking feature that provides a safe and secure stand when the unit is not in portable use. One LAN port and four USB 2.0 ports allow connectivity while the unit is in dock. The Medix 10T uses the Intel(r) ULV processor U2100 1.06 GHz (533MHz FSB) and the Intel(r) 945GME chipset. It has up to 2GB DDR2 SDRAM and one SO-DIMM socket. Tangent is a leading provider of medical solutions to point-of-care providers, solutions providers, and other healthcare professionals. Tangent offers a wide-range of products including portable carts, lifts, mounts and cabinets, medical computers and medical grade peripherals. Do you want to see how looks the new version of Android? Check this video. 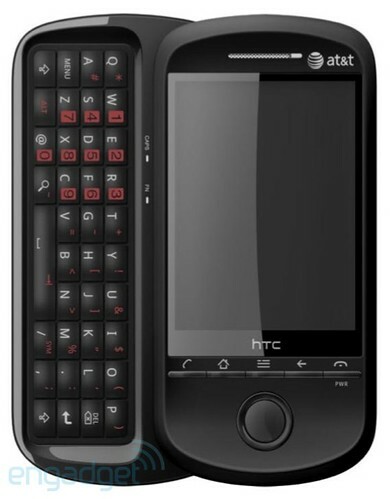 Yes, AT&T will be selling soon an Android phone, the HTC Lancaster. A few days ago I read the news about T-Mobile selling iPhones and now this news. Coincidence? AT&T is getting an Android-powered phone after all. 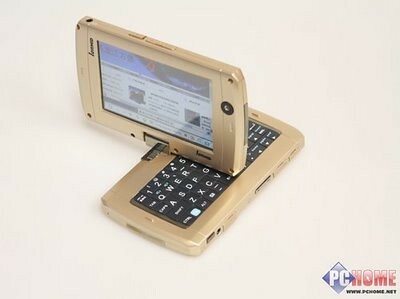 Behold the HTC Lancaster with a striking resemblance to the HTC Magic when closed and looks a lot more like the Touch Pro in form factor for a QWERTY slider than the T-Mobile G1. OQO Inc. is dead, long live the King! We all were expecting this news but still a very sad one. "We are sad to report that due to financial constraints, OQO is not able to offer repair and service support at this time. We are deeply sorry that despite our best intentions, we are unable to provide continued support for our faithful customers. Please accept our sincerest apologies"
OQO was one of the pioneers in what later was called UMPC market. Their devices were innovative and had a beautiful design good enough to compete with Japanese companies with years of experience in this industry. I feel bad for the company, I feel bad for those who worked for this company and now are looking for a job and I feel bad for the hundreds of customers without any kind of support for their devices. The Smart Q7 is one of the best design I have seen in a MID. And today UMPC Portal has released a review of this device very detailed for those who are thinking to buy in the near future. I had very well-managed expectations for this sub $200 tablet based on ARM architecture and a Linux operating system from a Chinese company and sold through what we thought was a very strange reseller in China. I’ve unboxed the device and I’m feeling quite pleased. Keep your own expectations in check though because this isn’t a UMPC. Think of it as an internet connected gadget, and you’re on the right track. Android Community has published pictures and a video of what seems to be a new release of Android that goes under the code name of "Rosie". Videos demonstrating what’s believed to be a future build of Android have been leaked, courtesy of Haykuro of the xdadevelopers forum. 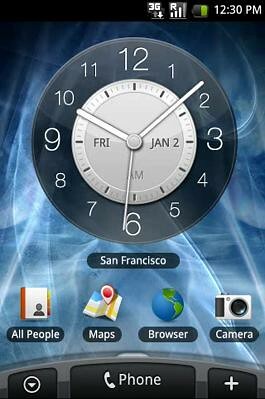 The videos, which you can see below, show a new, advanced Android desktop with more widgets and a streamlined GUI. I still waiting for the Cupcake release and they are already talking about "Rosie"! PC Authority has posted an interesting article about disappointing technologies and there are two Microsoft’s Products that are included in the list of top ten. Could you guess which ones? I’m sure you do: Vista and Zune. Vista's biggest problem, however, was its big appetite for hardware. Users who had grown accustomed to the low demands of XP were often shocked to realize how much hardware they would need to upgrade just to run Vista. Many of the high-end features out of the realm of even some brand new systems. The matter was further complicated when a lawsuit unearthed evidence that the company purposely lowered some of the suggested requirements at the behest of hardware vendors. The problem with the Zune is that it lacks any sort of killer app. The Xbox had some big exclusive titles and a superior online community. There was nothing of this magnitude to establish the Zune over its competitors. It arguably functions as well or better than the iPod in many ways, but not in any way that was good enough to really make people dump their iPods The music service for the Zune was also lacking, and it didn't help that the thing was ugly as sin. I would add that they did a big mistake switching from WMP to Zune Software to manage the music library. Of course I understand that they needed in some way to integrate the Zune Market Place but in my opinion that switch in the middle of the road disappointed many users including me. It was like we bought an unfinished product. Varlink, the York based mobile computing and data capture specialist distributor, is delighted to introduce the Trimble YumaTM rugged tablet computer, an extremely rugged IP67 device that brings full office capabilities to the field in an all-in-one mobile package with its Microsoft Windows environment and wireless capabilities. The Yuma is designed to operate in any outdoor environment - no matter how extreme. This mod is for really brave users that really do not care about warranties or anything like that. ..or upgrade with 3G modem but then you need to solder the pci-e connector, antenna cable and use Novatel EU850D with SIM holder.. cut the metal plates and take away the HDD and replace it with half mini zif SSD. According to Aving USA, Toshiba has released in Korea a mini notebook, are we not calling those netbook any more? Adopting an isolated keyboard and dual-side LED back lights, the miniB is powered by Intel's latest Atom N280(1.66GHz) CPU, 1GB DDR2 SDRAM and 160GB HDD. It also supports TruBrite CSV technology, Bluetooth connectivity, Sleep & Charge function and more. JKK Mobile has posted new pictures and the spec of a new MID with phone capabilities. Windows 7 coming this year! Microsoft has confirmed the release of Windows 7 this years according to news published at CNET. Well, even when it was not official I think that many of us knew that. W7 RC is already a product almost ready for being released to the market and there was not any way that Microsoft would had kept W7 in RC status for 7 more months. 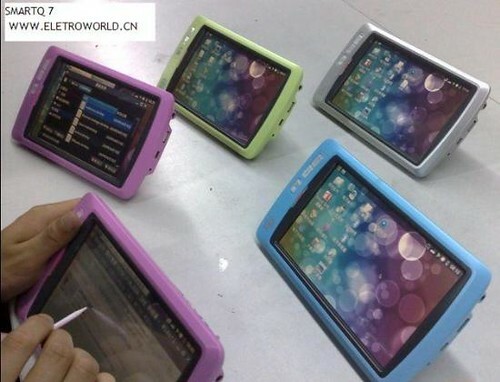 Smart Q7 Tablet, what color? UMPCPortal has posted a few pictures of this new MID that will be using Ubuntu and an ARM processor. At $180, the only real question for gadget fans is, what colour? I’d go for Lime Green just to be disruptive and clash with that brown leather sofa you find in every coffee shop these days. The price tag of 180 dollars is really good and the design is not bad at all. OQO Model 2s motherboard failing? This is a report coming from Endgadget. Apparently there are some users, reporting failures in the Motherboard. This is a real bad news for current OQO owners because if the rumors of this company problems are real probably there wont be any solution available to them. …and now we're hearing that main board failures on Model 2s that have shipped are distressingly common. That's at least the word according to the OQOtalk forum, whose members are currently gathering data on the situation -- and the early trends sadly reveal that the 1.6GHz model is extremely prone to failure. Of course, it's not exactly the most scientific poll in the world, but you wouldn't expect such harsh results from users on a fansite unless something was up. Given OQO's current travails, we don't know if this will ever get resolved, but let's hope so. JKK has prepared the best video review I have seen so far about this UMPC. The SmartQ 7 is a interesting Linux MID. The design I have to say that it’s one of the best that I have seen lately. The SmartQ 7 runs an unspecified Linux distro with specs that include WiFi, a USB-host mode, stereo speakers, and up to 2-days of music off a single charge to its 4500mAh Li-Poly battery. More importantly, there's a dedicated FN button along the top for instant fun. Yeap, you have a whole year to use it for free and decide if you are going to pay for the update to this beautiful version of Windows OS. The RC is the closest thing to the RTM Version, from now one we wont see any new features added but bug fixed. The RC can be downloaded in 5 different languages from here. Welcome to Windows 7 Release Candidate (RC) testing. We're on our way to Windows 7, and if you like trying out pre-release software, now’s your chance. You get to see what's coming, and we get to see if our changes and fixes from the Beta testing are working correctly. I installed this weekend W7 RC. A clean install in my 15 Gb test partition and ending with around 5 Gb free. In 2 hours I was answering emails and working. Even when Fujitsu has not released any drivers for W7 for the P1610 series, more or less I have everything working (the screen does not rotate automatically when I rotate the display to tablet mode). I'm really happy with this release. It seems strong, well made. It seems a product ready to hit the market so I would not be surprised if I see it released in this Summer. According to a report published at Pocket-Lint.com W7 will be released this year, October 23rd. "23rd October is the date the Windows 7 will be available. There is a 30 day upgrade time so that customers don't wait to buy a new computer, so if you buy during that 30 day period, you'll get a free upgrade to Windows 7", Bobby Watkins, Acer's UK MD told Pocket-lint. Microsoft has not confirmed or denied this information which seems to me right it you take in consideration the time between the release of the Beta and the RC.